I love to hike on the mountain forests of the Pyrenees in spring. After the black and white winter they come to life in a multitude of species and colors. 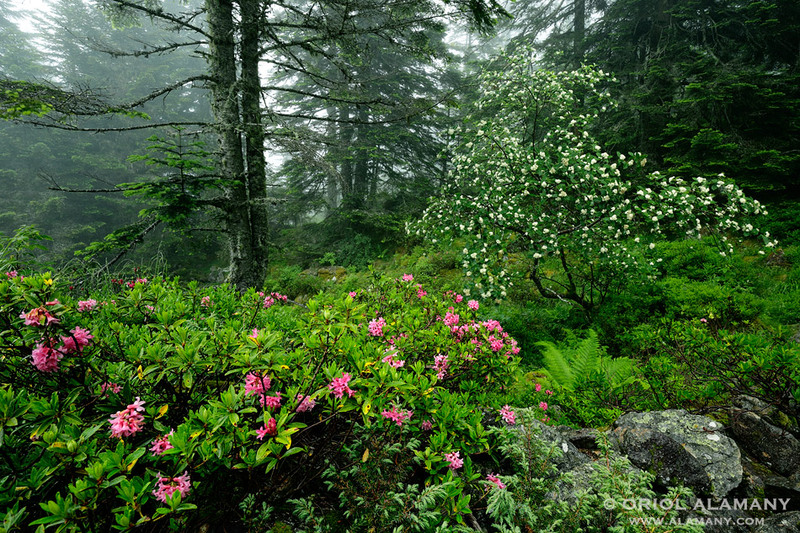 In this photo I took last June, in an assignment in Parc National des Pyrénées, a Rhododendron (Rhododendron ferrugineum) and a Rowan (Sorbus aria) are in bloom in a foggy morning in a Silver Fir (Abies alba) subalpine forest. Photo info - 25.06.2016: Canon EOS 5D MkIII at ISO 100 16-35mm f:4L IS 1 sec at f:13 Benro polarizing filter Benro C2682 tripod.